SFA is involved with several projects in the border region, bringing deep knowledge of folklore, ethnographic research, and participatory research to community cultural development. 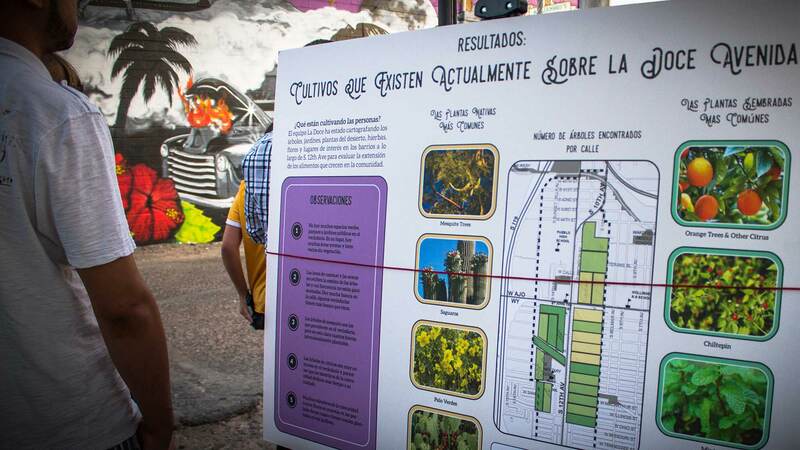 Some of our consulting projects include: La Doce (2016-present): Tucson’s South 12th Ave (La Doce) is celebrated locally as a natural “Cultural and Culinary Corridor,” complete with Sonoran cuisine, colorful signage, family businesses, and expressions of heritage. SFA is working to help the community document and celebrate their foodways through innovative collaborations between community members, non-profit organizations, grassroots organizations, schools, businesses and civic leaders. Yoeme Culinary Resistance (2015-present): SFA is working with Yaqui and Yoeme communities in Sonora and Arizona to explore connections between the cultivation and preparation of wheat and the tribe’s resiliency and cultural preservation. We are assisting communities in developing a strategic plan for its economic recovery using oral histories, test planting sites, and artisanal cooking workshops.El Paso Foodways (2015-present): SFA is assisting La Mujer Obrera, an El-Paso, TX-based organization dedicated to creating communities defined by women, in creating a master plan to strengthen food-oriented community development, including local food production, heritage food programs, and farmer’s markets in the Chamizal neighborhood of South Central El Paso. In 1994, 35,000 jobs left El Paso and dozens of factories closed, resulting in the highest number of displaced workers in the country, many of whom lived in Chamizal. South Tucson Cultural Assets (2016): Students in Dr. Maribel Alvarez’s cultural anthropology class at the University of Arizona (with graduate teaching assistant Elizabeth Eklund) interviewed residents of South Tucson to identify and document the area’s artistic and occupational sense of place and culture. Their goal was to archive South Tucson assets for community residents and planners to expand and leverage for increased economic development and cultural tourism. Their work was part of a larger plan carried out by the Primavera Foundation and was conducted in partnership with the YWCA’s House of Neighborly Services in the town of South Tucson, Arizona. The Southwest Folklife Alliance provided additional support.